The 6th edition of Miss Global has become the talk of the town these days as the coronation night of the pageant is just 5 days away that is 11th February 2019. The finale is going to take place at the Newport Performing Arts Theater, Manila, Philippines. The attention caught by the pageant is quite immense as the forty-seven delegates from all around the world are going to represent their respective countries and compete for the esteemed title of Miss Global 2018. The gala night will witness Miss Global 2017 Barbara Vitorelli. crowning her successor at the end of the event. Angelopedia hand-picks its Top 15 Favourite delegates out of which Pamela Lee Urbina from the USA is one of them. This gorgeous and optimistic young diva who is never left behind in showing her talent as she stood up as the first runner-up in the press presentation that was held recently. 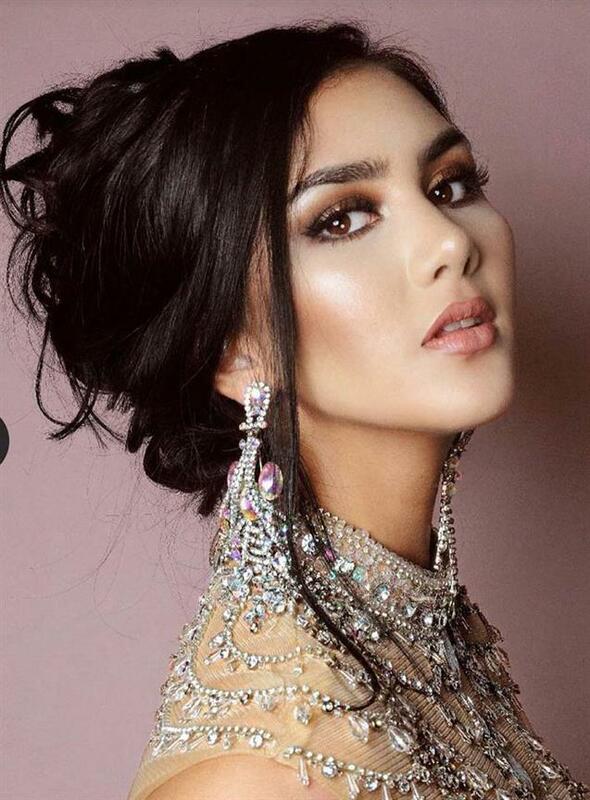 This 20-year-old diva represented in Miss Global USA 2018, where she found her victory and was handed over the crown. This crown gave her the opportunity to roll down her journey of Miss Global 2018 as now she is going to represent her country USA in Miss Global 2018 pageant. Besides being a beauty pageant titleholder, this young diva holds up various hobbies like modelling, acting, dancing, singing, listening to music, cooking/baking and make her creative ideas come to life. This young diva hails from She is from San Antonia, Texas. This beauty is multilingual with the ability to speak fluently in English, Spanish and French languages. She loves to go to the gym and apparently does have a fit and healthy body. Pamela has been professionally modelling since the age of 10 with Missy’s Modeling Studio in Mcallen, Texas which later on she became an instructor and a personal assistant. She graduated from high school with all 4 years of Business Administration coating Finance, Marketing, Distributing, and Management. If Pamela manages to win the title, she is going to empower women in various aspects so that all the inner magic or the purpose come out and help the homeless. Keeping such a great motive actually makes her a deserving and strong candidate and Angelopedia wishes her all the very best for her success.